Since 1923, the art of pleasing and satisfying have been the main values and vocations of the Albar family. 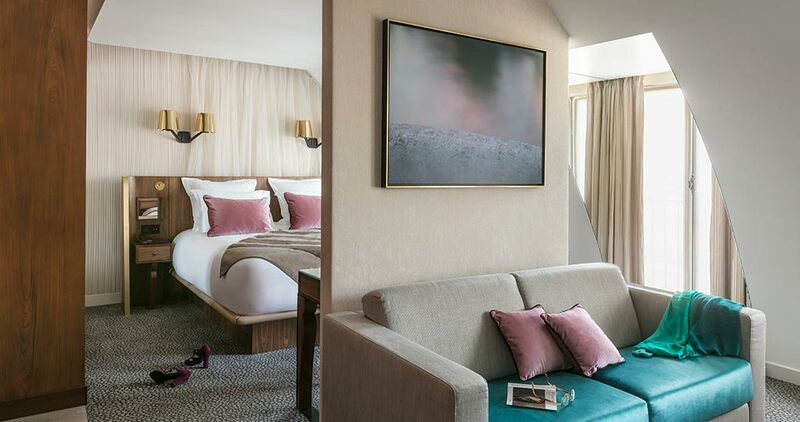 After several generations of dedication to hotel industry, Celine, who is from Paris, and her husband, Albar, have decided to continue with this beautiful family tradition by creating the amazing MAISON ALBAR HOTEL PARIS CELINE hotel. 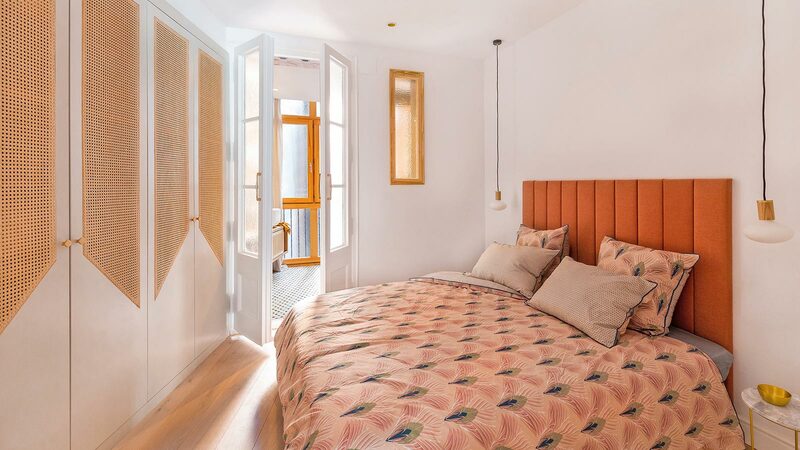 Five-star accommodation located at 23-25 rue du Pont-Neuf in the French capital, whose main axis is the elegance of its architecture and decoration in the purest of French styles. 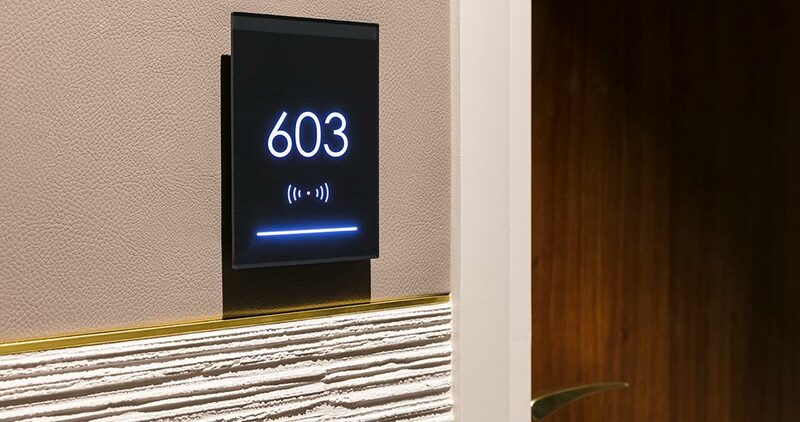 The biggest challenge that arose in this contract project was creating a warm and welcoming place, one which provides its guests with the incomparable charm of French homes, as well as including avant-garde designs and cutting-edge technological equipment. The objective was to create a perfect fusion between charm and elegance from the Parisian culture, and the most innovative products and material designs. A challenge that has been made possible thanks to Celine’s ingenuity, and the architects, designers and restorers’ knowledge and talent. The PORCELANOSA Grupo participated in the project through its finest and most sophisticated materials to recreate a family inspired atmosphere which provides an authentic and refined experience around the concept of “elegance made in France”. 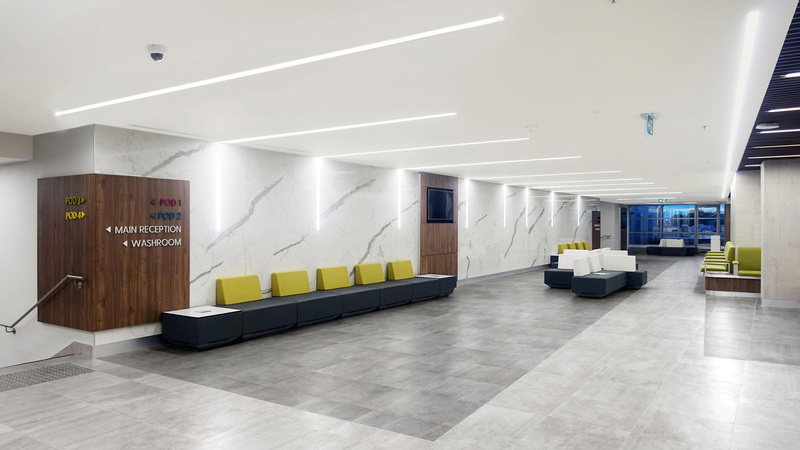 For instance, the floor tile used in the hall belongs to the cement effect porcelain tile collection by Urbatek in its warmer shade: MORSE Beige in a Nature finish. 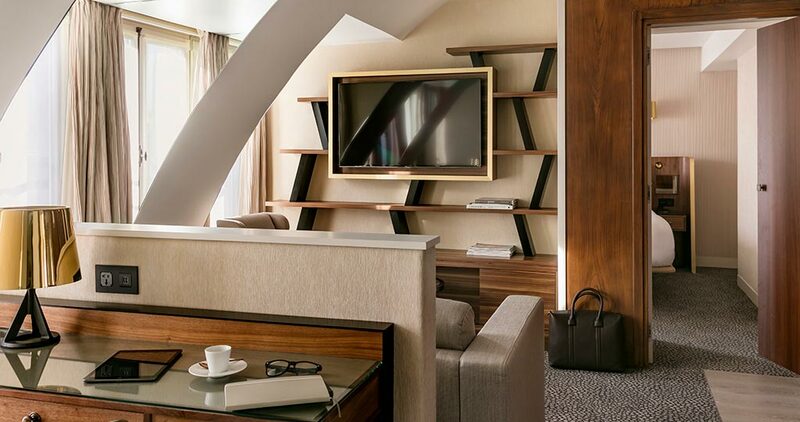 In the superior rooms of the hotel, a designed atmosphere, together with an elegant and intimate space for the guests to settle comfortably into has been opted for. Velvet, leather, wood, marble, brass; the combination of materials has been carefully designed to provide a refined and dreamlike experience for the guests and the clients. The Mini Eden texture Almond parquet by L’Antic Colonial has been chosen for the transition area and the area where the bed is. 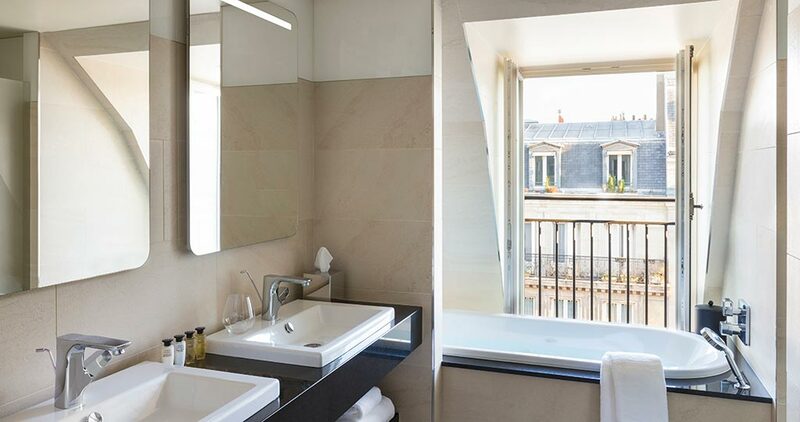 With a surface area of approximately 23m2, the 60 rooms in the hotel overlook the rue dy Pont-Neuf or the charming French-inspired inner courtyard. 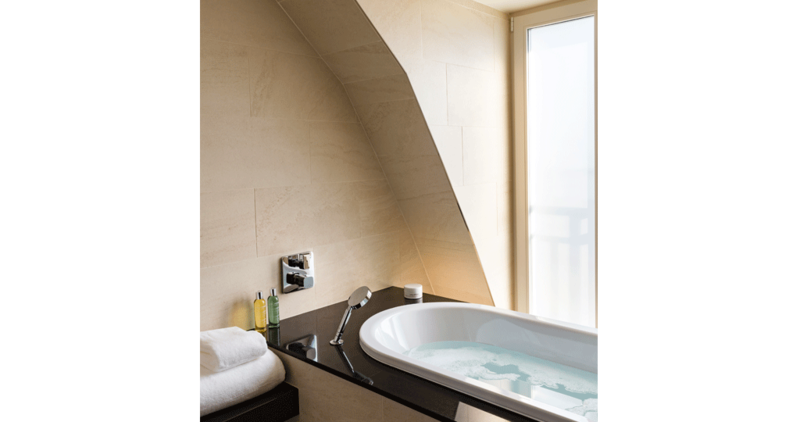 In the bathrooms, the main attraction is the Urbatek stoneware Kaos Beige through-body porcelain tile combined with an On Black Lappato border that highlights the contours of the pieces and the basin area. 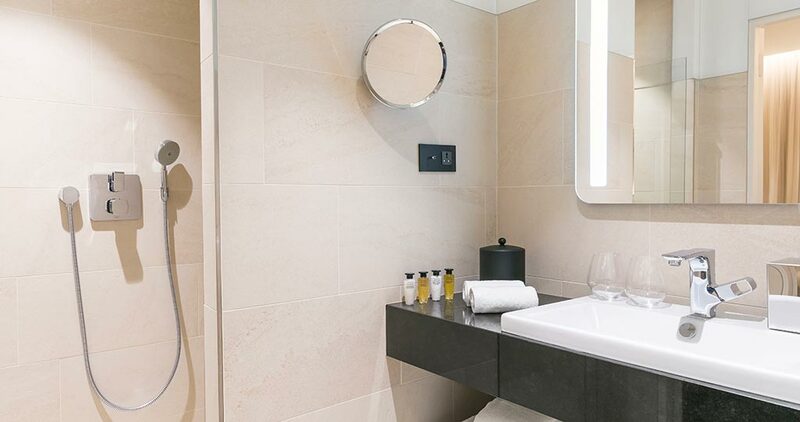 The mirrors with integrated lighting from the Lounge collection by Noken are highlighted, providing that cutting-edge touch which is so characteristic in the whole hotel. 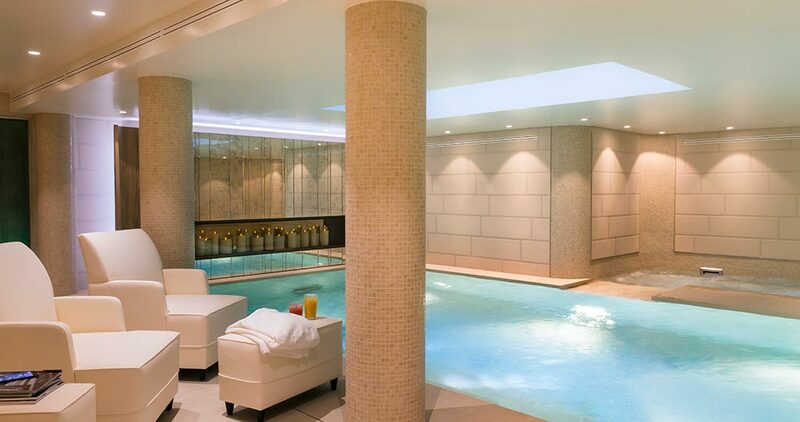 The wellness offer provided by the Celine Spa treats guests to a most unique sensory journey, coming from the firm, “Cinq Mondes”. 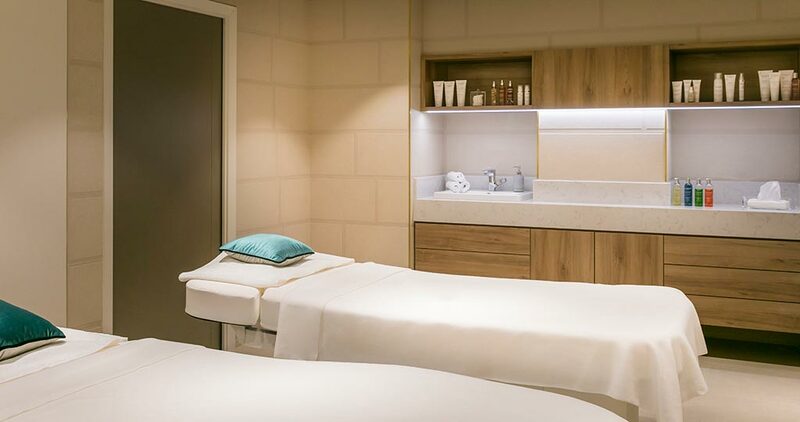 The PORCELANOSA Grupo is present in that temple of relaxation with the MORSE Beige porcelain tile, which has been used in the spa reception, the corridors and the treatment rooms. A special mosaic by L’Antic Colonial in light colours, and exclusively manufactured for this great project was included on some walls in this area, and the Concrete Timber Beige model by URBATEK as a floor tile for the pool area. 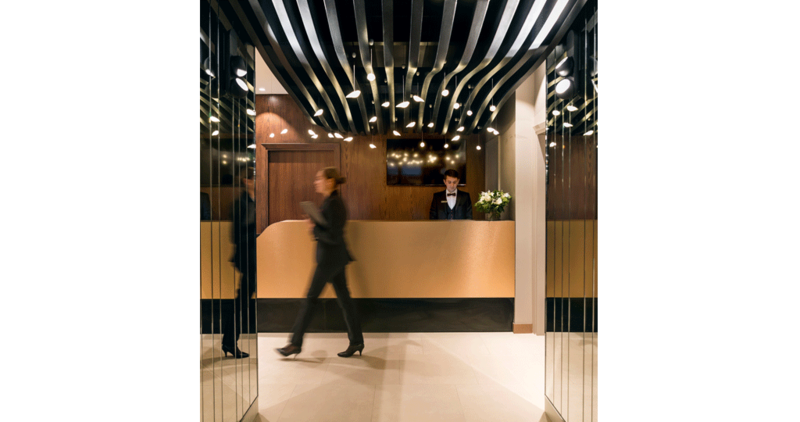 On March 16, the MAISON ALBAR HOTEL PARIS CELINE was a finalist for one of the most sought-after awards in the sector, namely the “Best Resort” recognition by the MIPIM in Cannes (the largest international market for real estate). 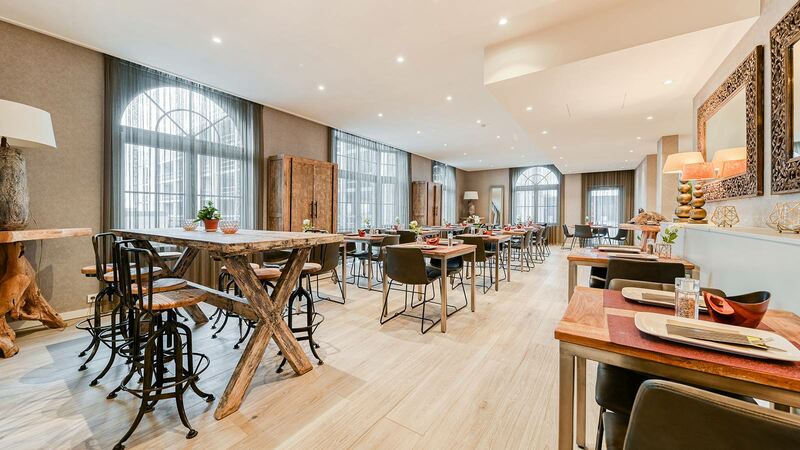 A unique and welcoming hotel which combines design, modernity and French softness to offer dreamlike accommodation and a relaxing experience.